Cricket Ireland chief executive Warren Deutrom has welcomed the news that the country is to host next year's ICC Women's World Twenty20 Qualifier. Ireland will be joined by eight other nations, including Pakistan and Sri Lanka, who will battle for the final spot in the 2014 World Twenty20. Holders Australia, New Zealand, West Indies, England, India, South Africa and Bangladesh have already qualified. "It's fantastic news for Irish cricket," said Deutrom. "Ireland has proved itself to be a great venue for hosting global tournaments, having staged the 2005 ICC Trophy, the 2008 ICC World Twenty20 Qualifiers and the 2010 ICC Under 19 Global Qualifiers very successfully. "We're delighted the ICC has awarded us this competition and I'm certain it will be a wonderful occasion." The qualifier will take place at some stage during July and August. ICC global development manager Tim Anderson said that the international governing body was "pleased" to announce Ireland as the tournament host. "With Ireland's track record of hosting ICC events, we are confident this important qualifying competition will be played in very good conditions, with excellent hospitality," added the ICC official. 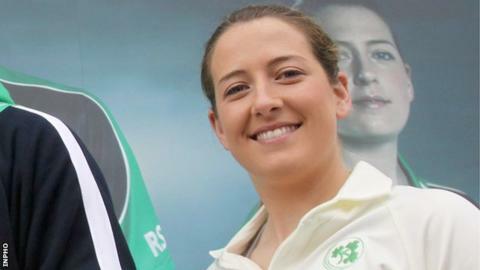 Ireland women's captain Isobel Joyce described the announcement as a "great lift for Irish women's cricket". "We're already training hard for the event and while it's obviously a big advantage to be playing in our conditions, we know it'll be very difficult against teams of the quality of Pakistan and Sri Lanka," added Joyce, who is a sister of Ireland star and Sussex captain Ed Joyce. "Having said that, we've a fantastic balance in the squad now of youth and experience and there's no reason why we can't grab the last slot on offer." Other countries taking part include Canada, Japan and The Netherlands, who lost to Ireland in the European qualifying tournament earlier this season. The final two places in the summer tournament will be taken by qualifiers from the Africa and Asia regions.